Six easy steps from creating your walk to finishing it - supported all the way by your own walking advisor. If you don’t know where to start use the Interactive Map page to review short summaries of all our walking options and then follow the links to find the full descriptions. If you are still unsure call us or email us for help. We are always happy to listen to what you want and match to the most suitable options. This gives the information so we can produce a detailed itinerary and price for you. You will be able to see the accommodation options, review the walking days and length and get an overall picture and a confirmed price for your plans. Click Here to send in a form now and your own named Walking Advisor will look after your enquiry from this point onwards until the end of your walk. Having reviewed the suggested itinerary and quote you can work with your walking advisor to fine tune it, add in any rest days, change accommodation, look at any possible savings or upgrades. Call or email us to say you want to go ahead and we will contact the accommodation to book up your walking holiday. If anything is unavailable we will come back to discuss the options with you. 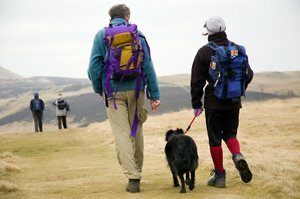 Your quote will ask for a deposit payment when booking with the balance due 8 weeks before your walk. We accept a variety of payments, including credit cards, bank transfers, cheques and international money orders with no surcharges. As soon as you have booked we will send out maps, guidebooks and route descriptions (airmail if overseas) so you can start your reading straight away. After you have paid your balance we will send out your detailed final itinerary which holds the day by day information spcecific to your walk and accommodation. Throughout the whole process you will be able to contact your named walking advisor by phone or email to keep in touch with progress on booking, any alterations you need and to make sure you have all the information you require for your walk. This includes things like help with transport to and from the trails or general travel advice if you are not from the UK. Send in a Quote Request Form so we can start work on your itinerary quote.